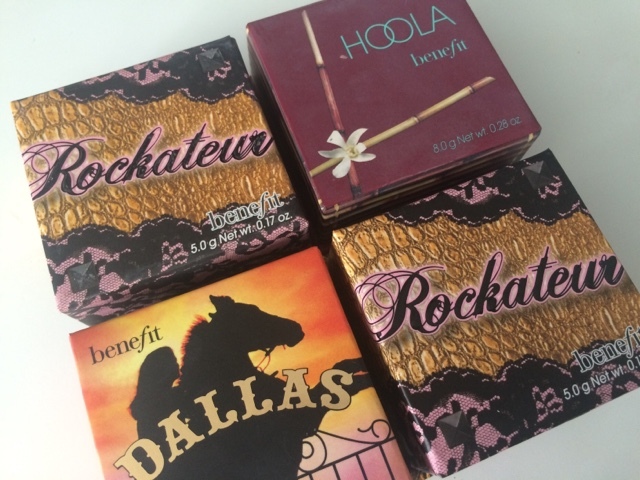 Two of Benefit's best sellers are the Hoola and Rockateur boxed powders and for very good reason. I thought for today's post I will do a review on my favourite boxed powders from Benefit. Each box powder contains 5grams of product with a compact mirror and brush. I really enjoy using the little brushes for contouring, they are very similar to the Nars Ita brush that I have. Each powder blush retails for £23.50. Benefit Hoola is one of Benefit's most iconic box powders. It is the perfect bronzer and contour in one. 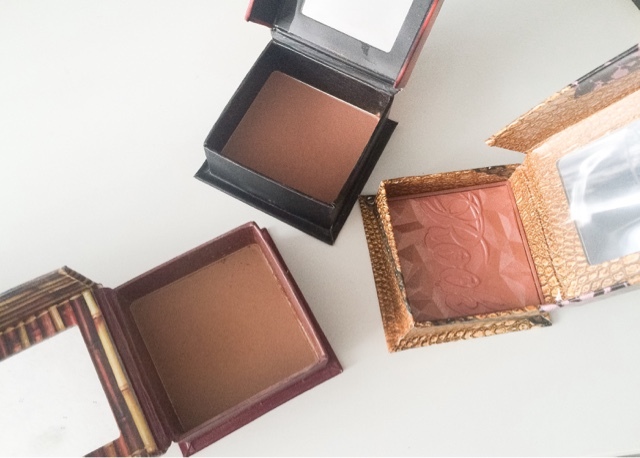 Most bronzers are quite muddy or red toned which can look quite fake looking, however Hoola has lots of ashy/grey tones to counteract this which means it is great to act as a shadow in the hollows of the cheeks. Benefit Rockateur* is another of Benefit's best sellers. This is the perfect shade that you naturally blush. It has an amazing sheen which looks incredibly natural. Benefit Dallas* is an amazing 2-1 product for the days where you only have time for minimal makeup. This product is great to act as a bronzer and blusher in one. This bronzer is very rose toned so it is great for throwing on when you are rushed. The great thing about this blusher, like all benefit blushers, are that due to the high pigment, you do not have to layer this on so it looks less powdery giving your skin a more natural, skin-like look. I was so excited to see Dallas on this list! It's my holy grail blush! It doesn't get enough hype, it's so pretty! I love Rockateur! I got the Benefit cheek set a few Christmases ago and it's amazing for trying the powders out! 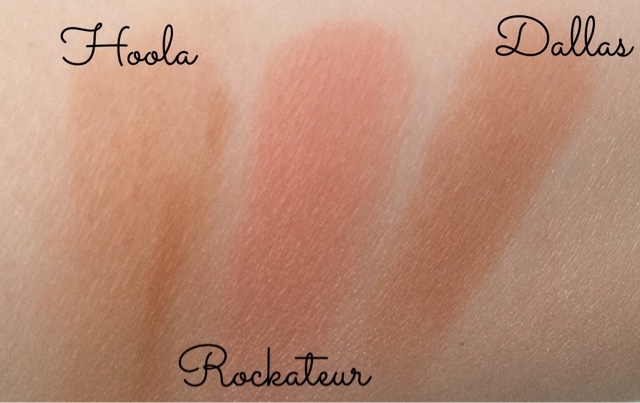 Benefit Hoola is just the most lovely bronzer - really must try Rockateur! I love Benefit boxed powders! The formula of them is amazing. Dallas is my favorite, their blushes are amazing! Great post! I've always been a huge fan of Hoola! Your right! It's great for that too! I wanted to buy it again, but i have so many others products i need to finish first. Hoola and Bahama Mama from theBalm are my absolute favorites.